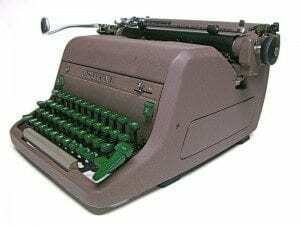 Software designed specifically for writers is not new, but with a rise in “indie” publishing and the self-publishing revolution, the internet world is now filled with it. How do you sort through all those programs? Which one is the best, or is there any such thing? What tools does a writer really need? In that light, we’ll be looking at a few basics first, and then go from there. We’ll evaluate computers, software, operating systems, and programs based on a few simple criteria. Affordability Why is this #1? Well, because writers are often poor, or at best economically challenged. The number of bestselling, I make a ton of money without a day job authors out there are few and far between. Most authors work to feed their writing passion, and often sacrifice less important things like food and body wash to pay for a computer, software, and printer ink. So if you want us to spend money on the latest, greatest gadget for writing, it better be damn good, or at least justifiable to our spouse. Learnability Okay, I used a big word there to say “How easy is it to learn?” I grew up writing first on an old Royal, an IBM Selectric, a Brother word processor (these are long gone, and you are probably an author or journalist if you remember them), and finally WordPerfect. I thought it was the best software ever, and then had to transition to Microsoft Office, and at times freeware like OpenOffice when I couldn’t afford the Microsoft offerings and Ramen at the same time. (You know that time when you were floating “between careers”?) Every time I made a switch, there was a learning curve and a period of less productive adaptation to a new program with new commands. So when we look at the plethora of new software available now, one of the deciding factors is simply: How easy will it be for me to adapt? Does the manufacturer offer tutorials? How easy are they to understand? Are the commands intuitive, and similar to programs I already use? The closer it is, the easier it is to learn. Compatibility Even if you are an indie author, and a self-publishing guru you should hire an editor. When you do, you will deal with sending documents back and forth. If you work with a publisher, you will work with both the editor and others at the publishing house. Your software will need to be compatible with theirs to streamline the editing and formatting processes. The ease of sending documents back and forth does two things: it makes communication easier and smoother, making editing a little less painless, and it makes you an easy author to work with. You want to be on the editor and publisher’s list of easy to work with authors, especially if you plan to submit more work to them. Typically indie editors adjust prices, and publishers adjust priorities at least partially on how well you work with them. The more time they spend on you, the more money they have to make to pay for that time. The first thing we will tackle next week is the Mac vs. PC debate. If you don’t already have a computer, or you are looking at a new one, what should you buy? Until then, write on!